Simple and classic. This small pendant has been entirely hand-molded and fused with the purest silver available (Fine Silver .999). Hammered for added beauty. The biggest circle measures approximately 1/2" in diameter. The entire piece is 3/4" in length from chain to bottom of pendant. 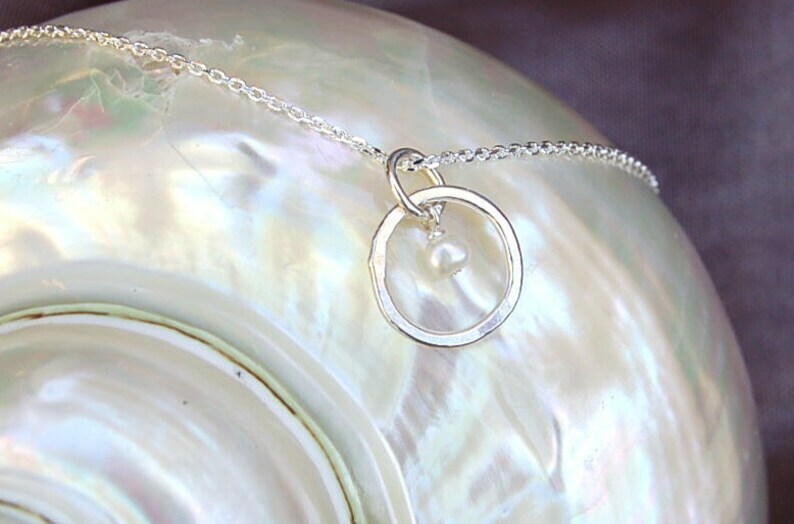 Features a small white freshwater pearl that floats inside the circle. It comes on a delicate18" Sterling Silver chain. Other sizes available by request.